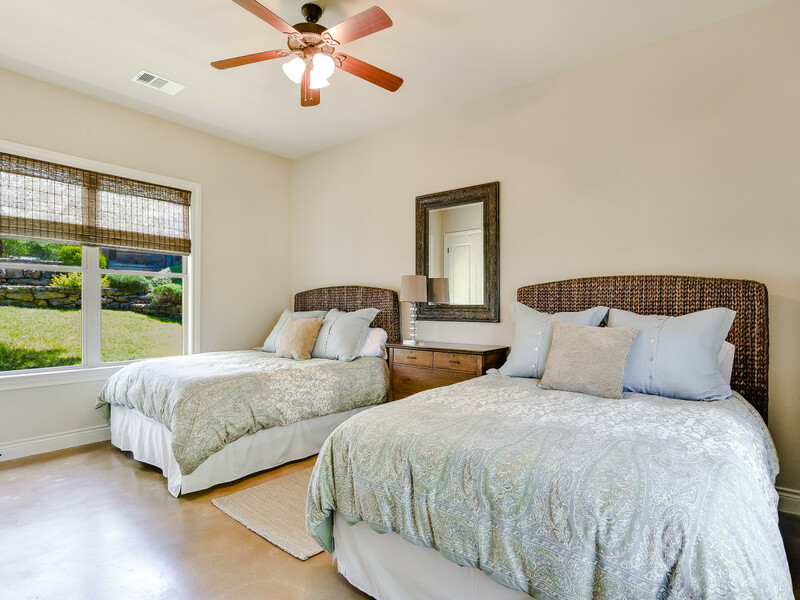 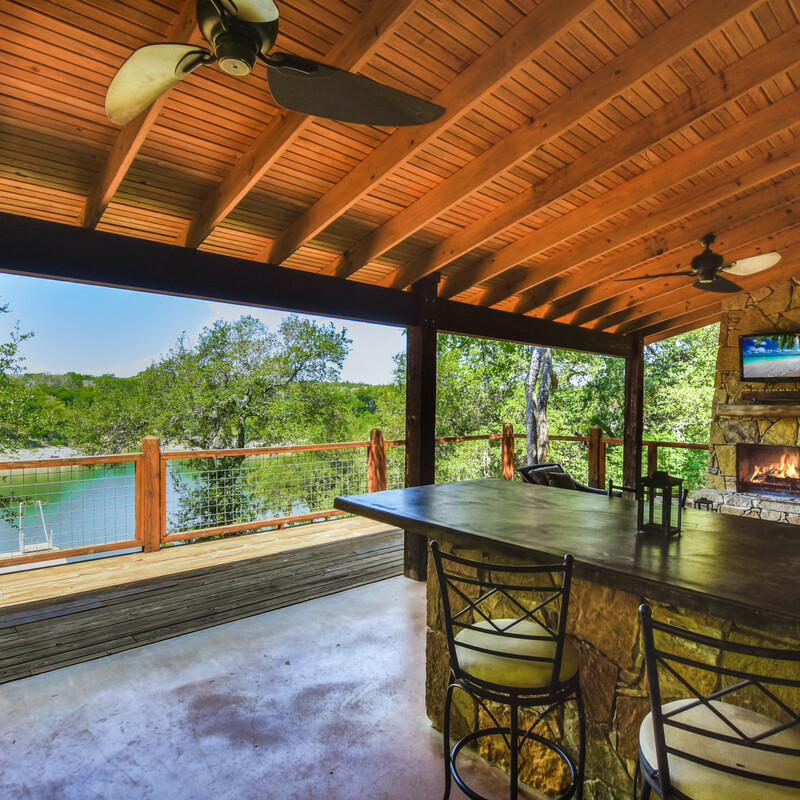 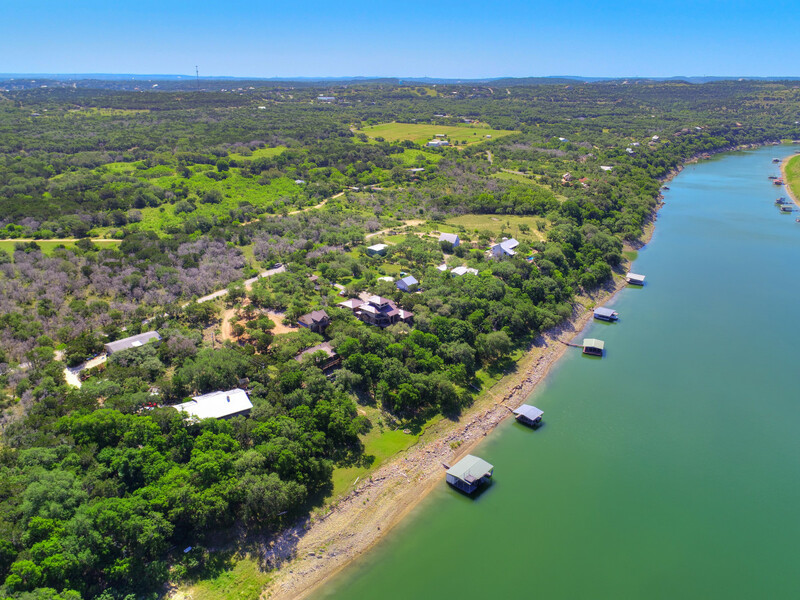 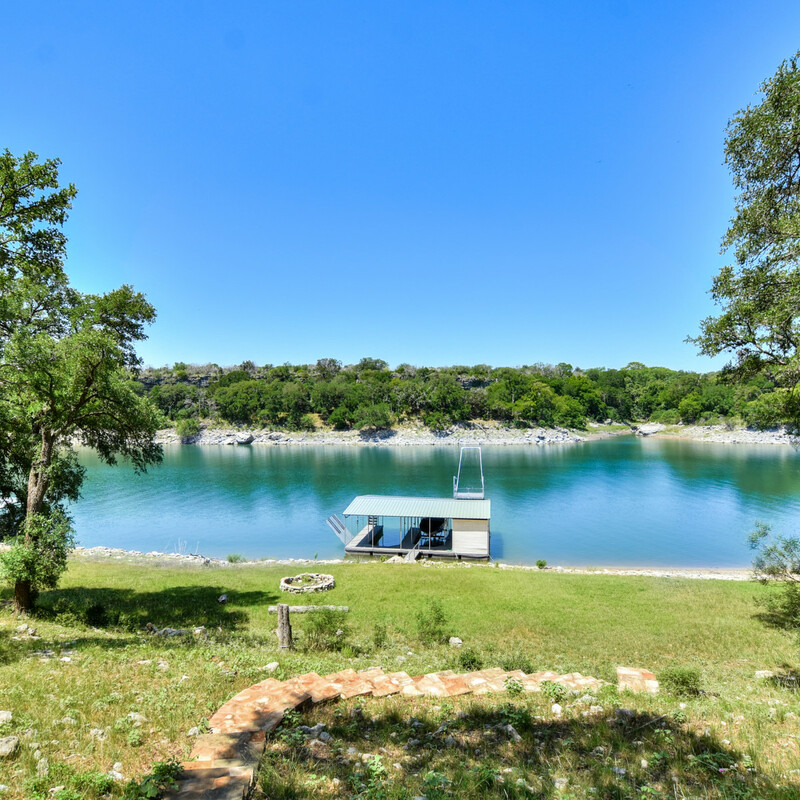 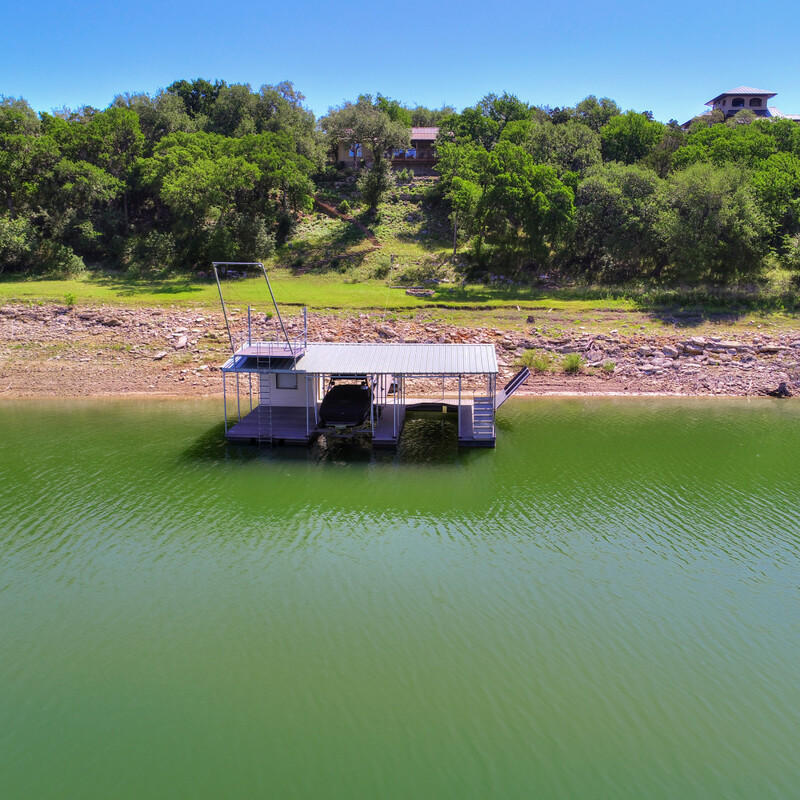 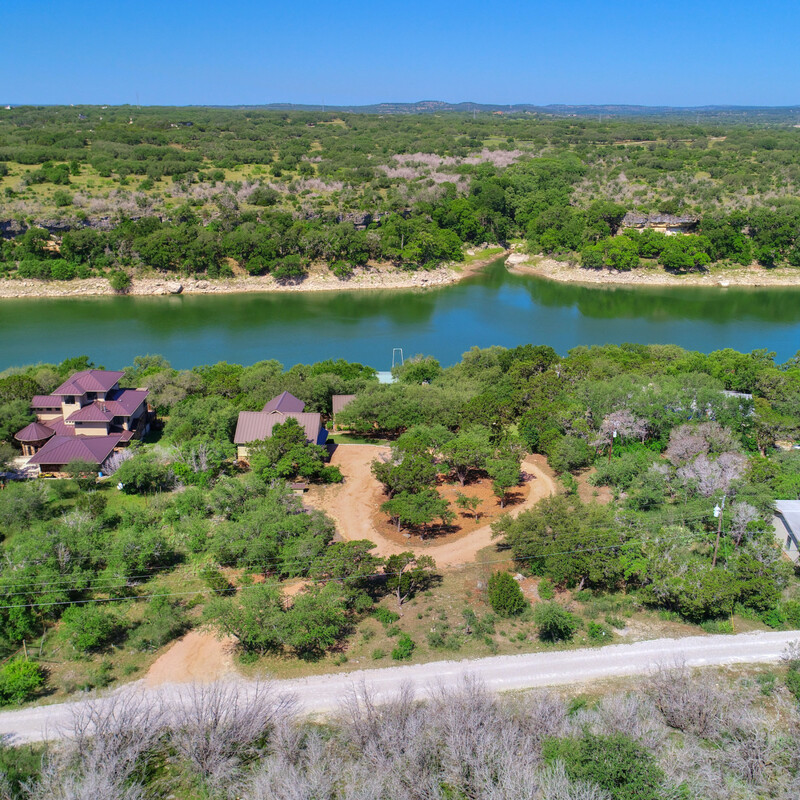 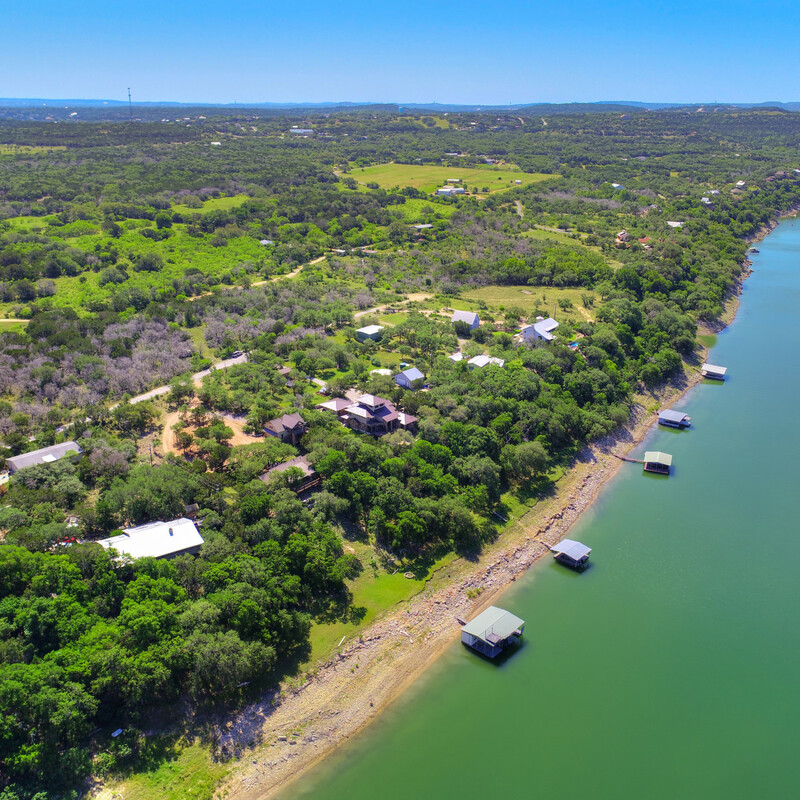 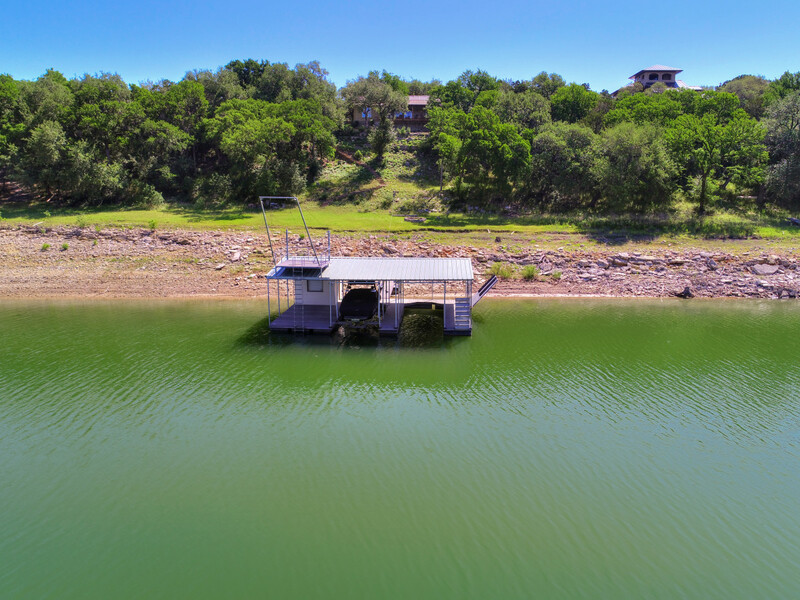 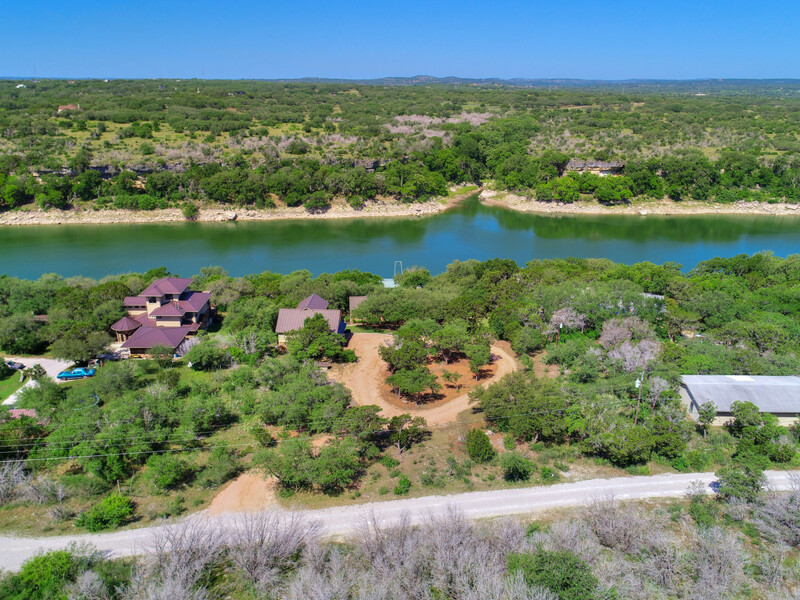 The lowdown: Unwind in this private and cozy home, located along the banks of the Pedernales River. 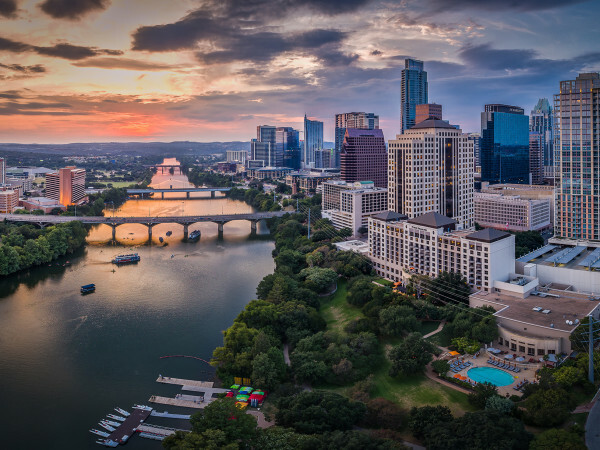 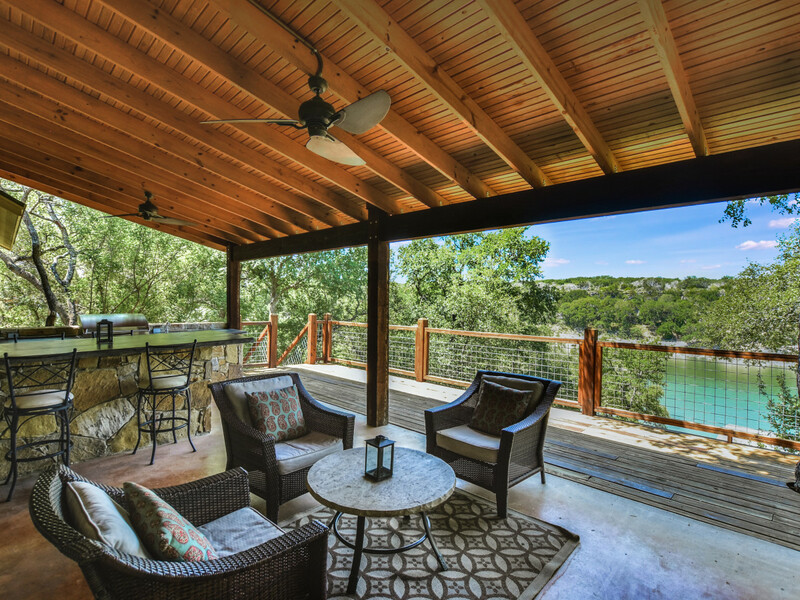 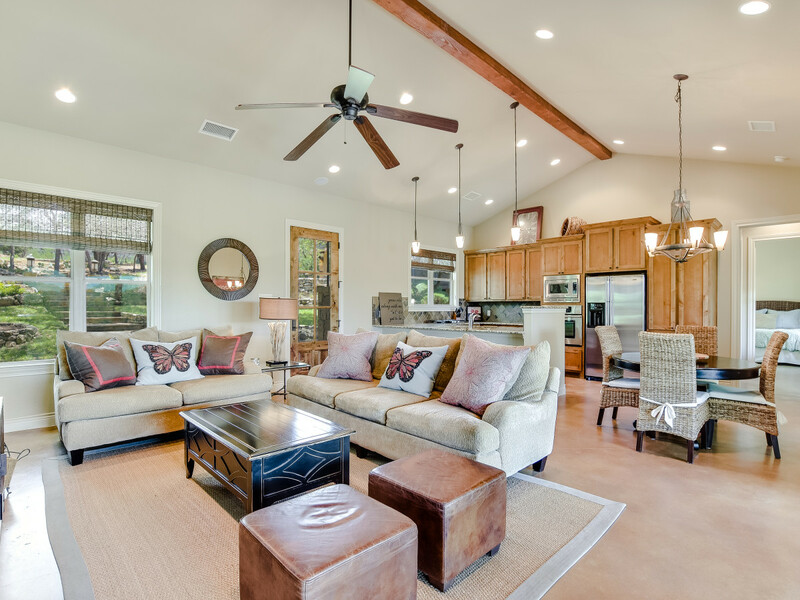 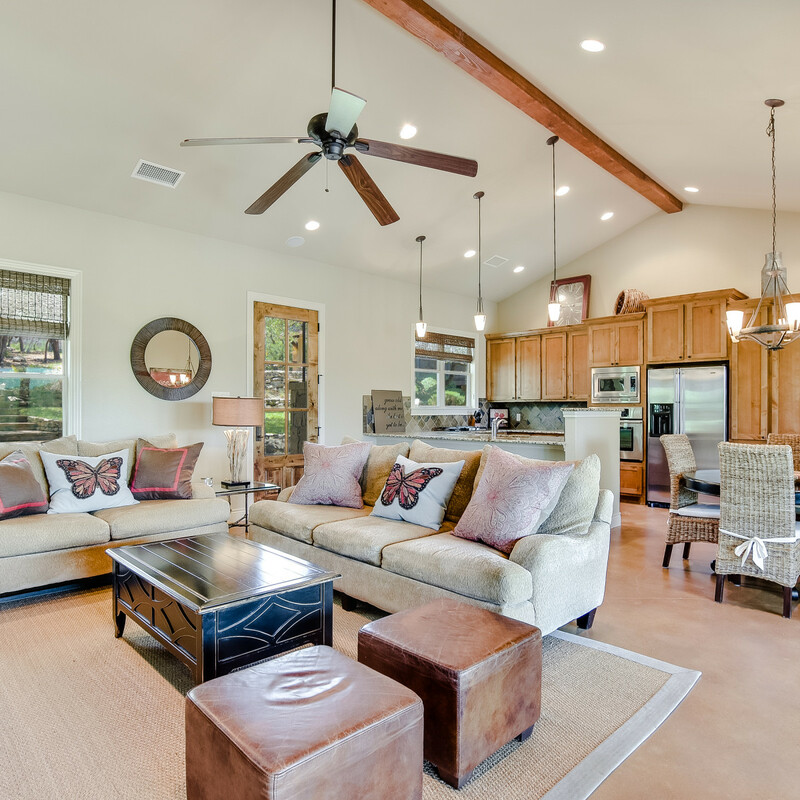 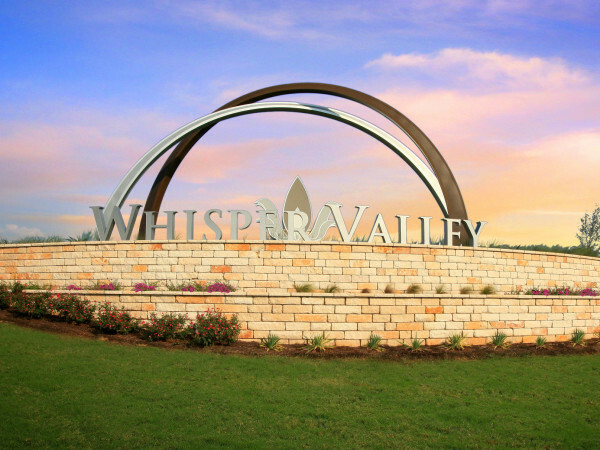 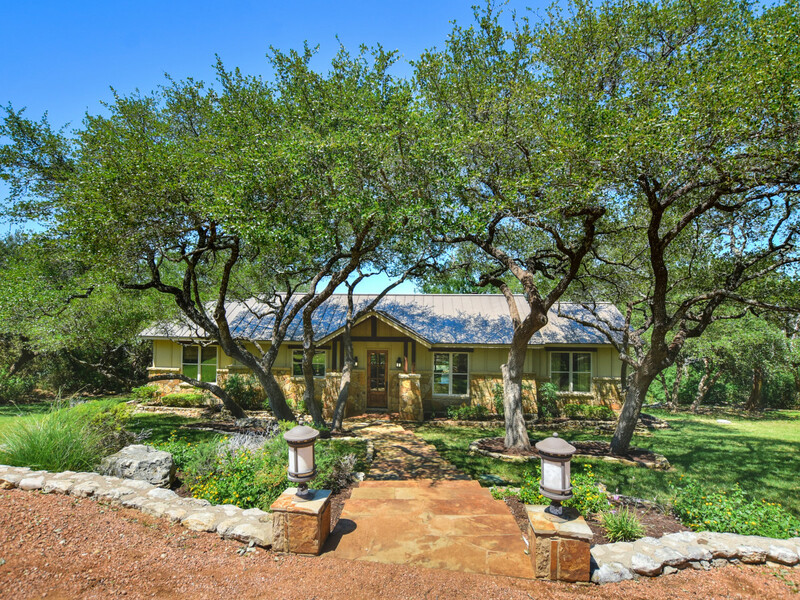 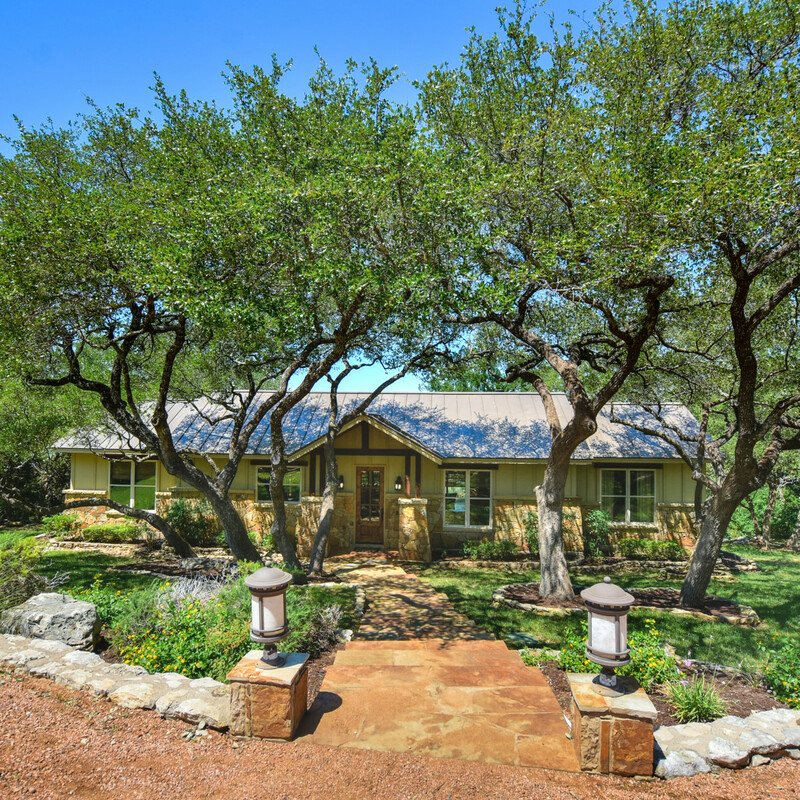 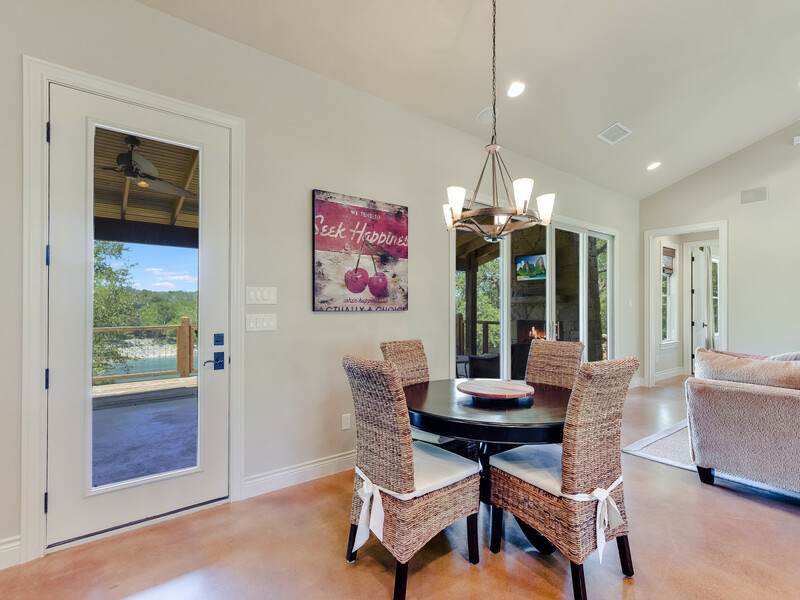 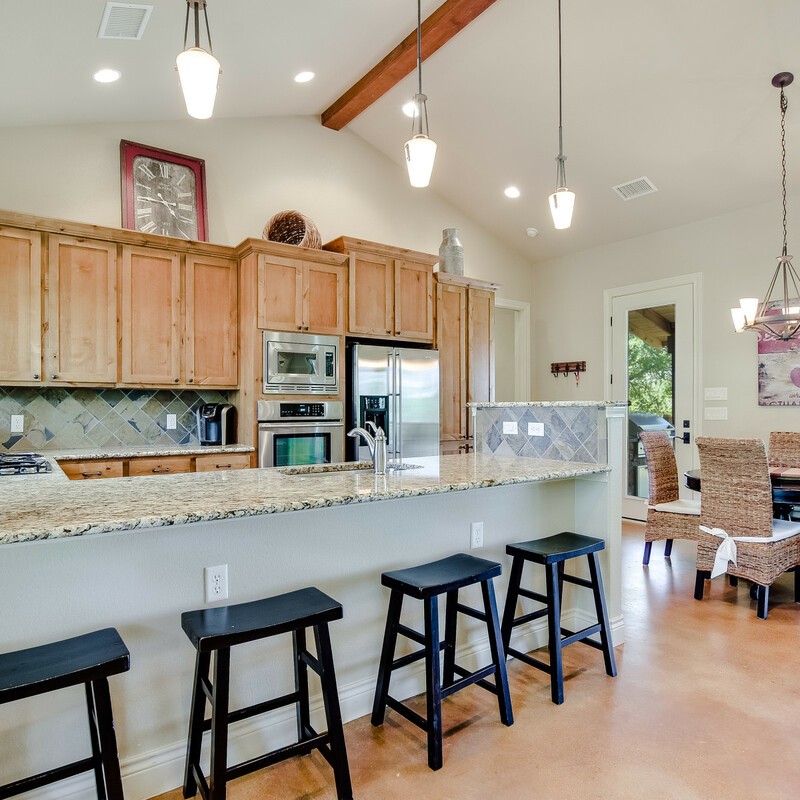 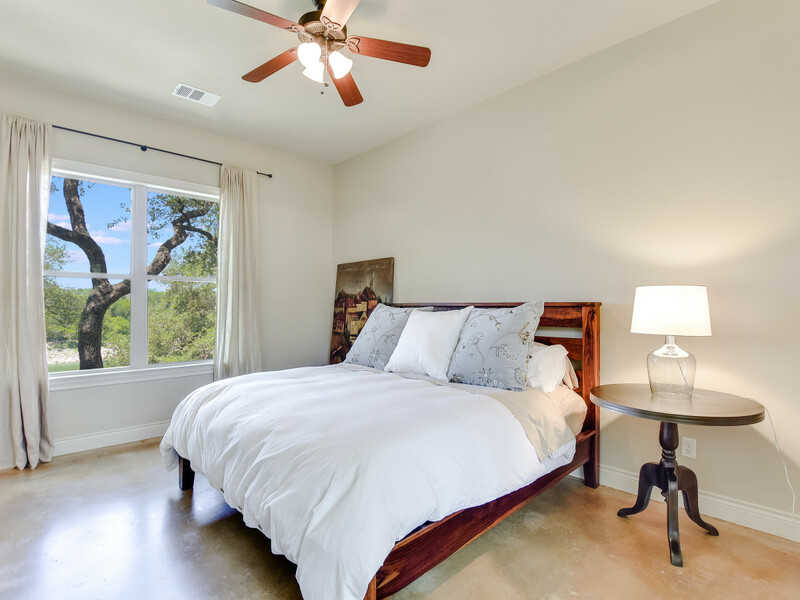 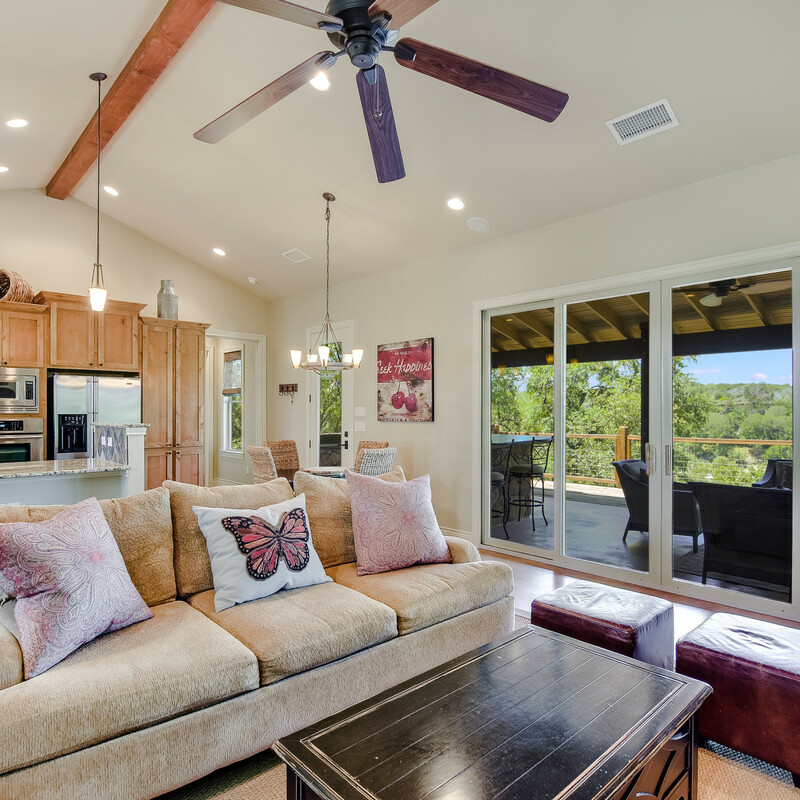 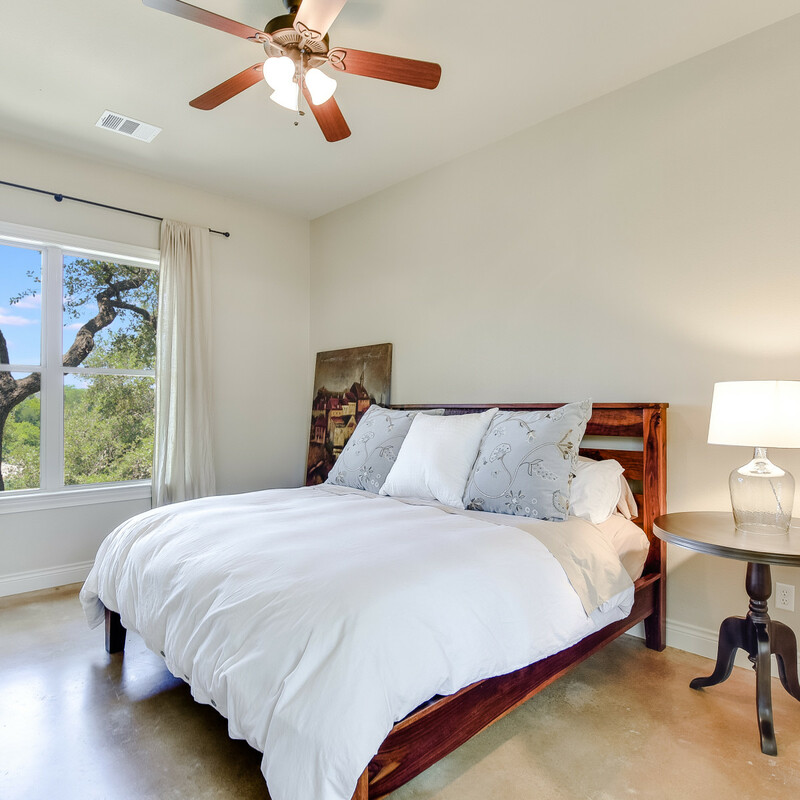 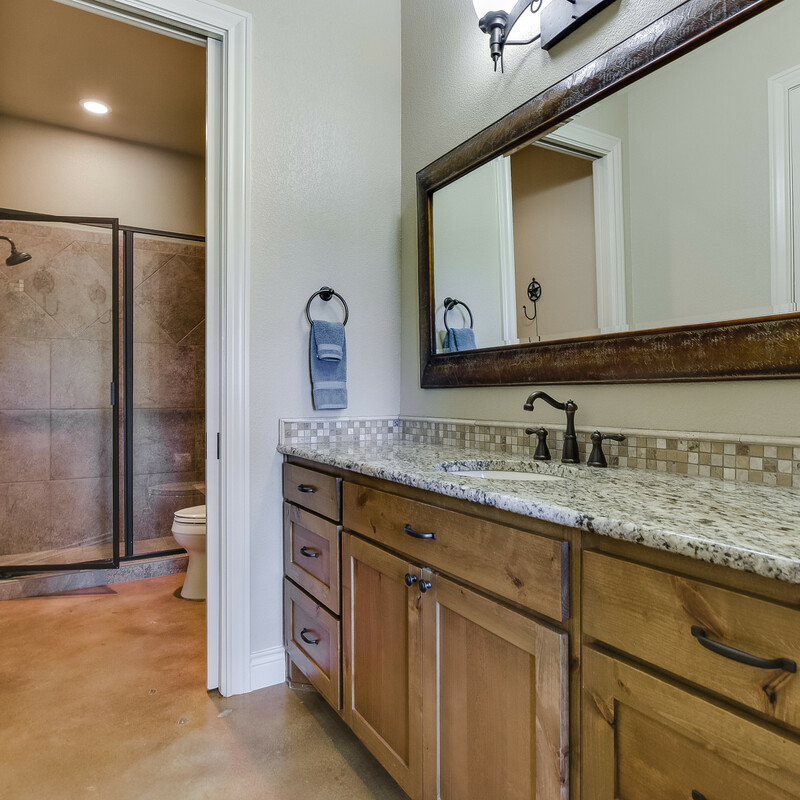 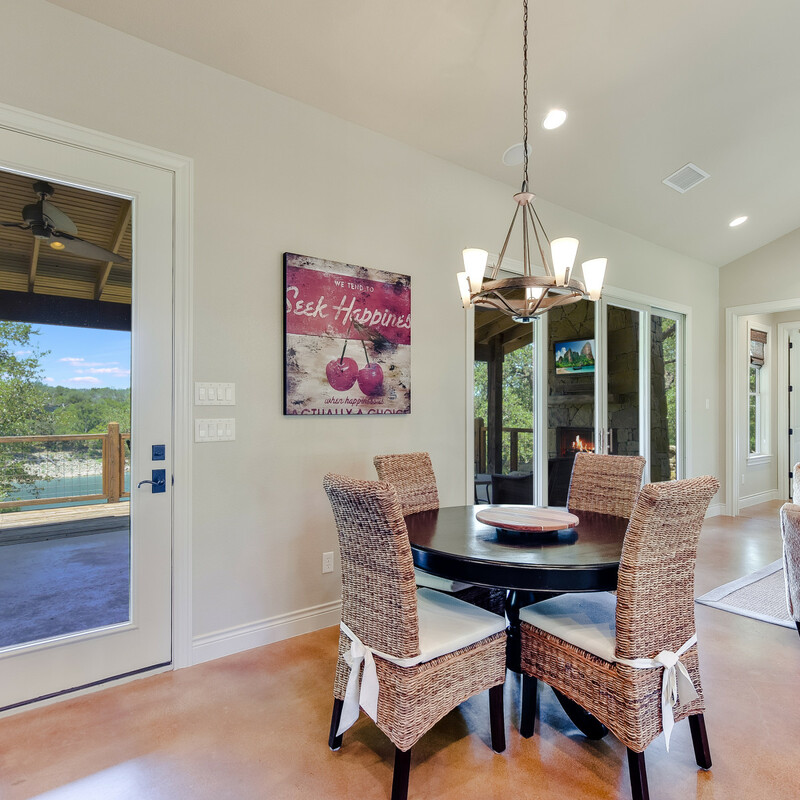 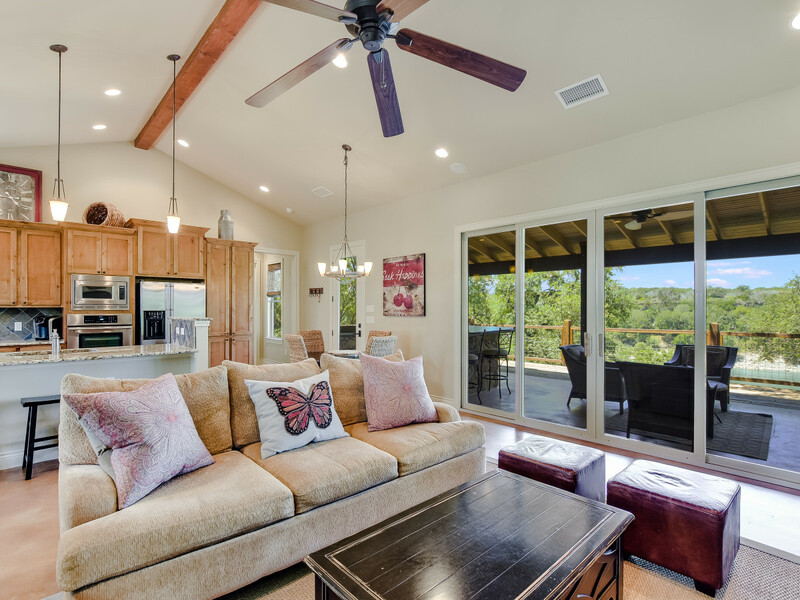 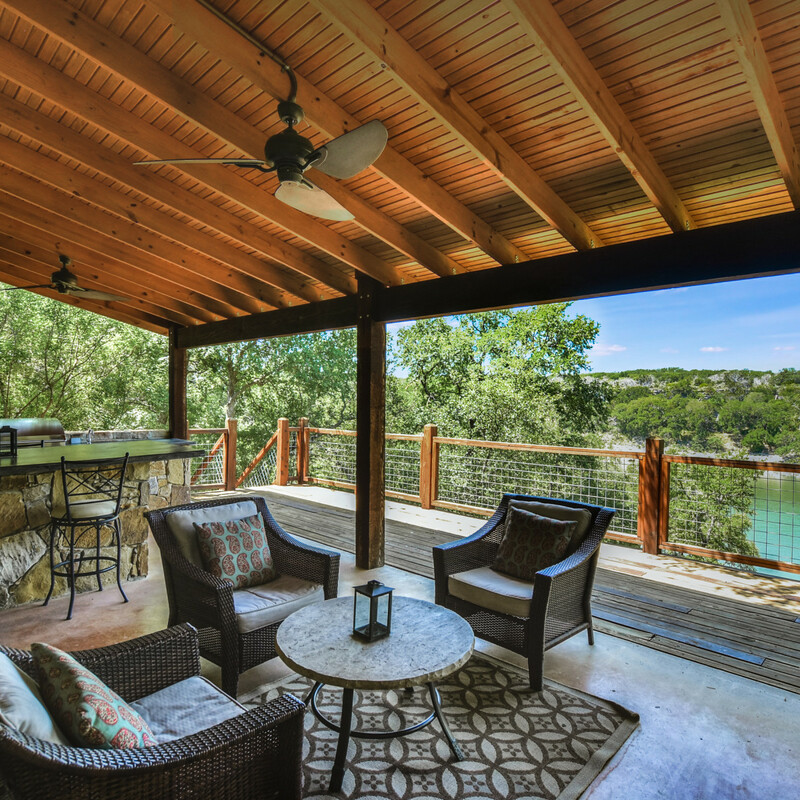 Designed by Mark Carlson and built by Canyon Creek Builders, the custom Hill Country design fits charmingly into its four-plus-acre setting. 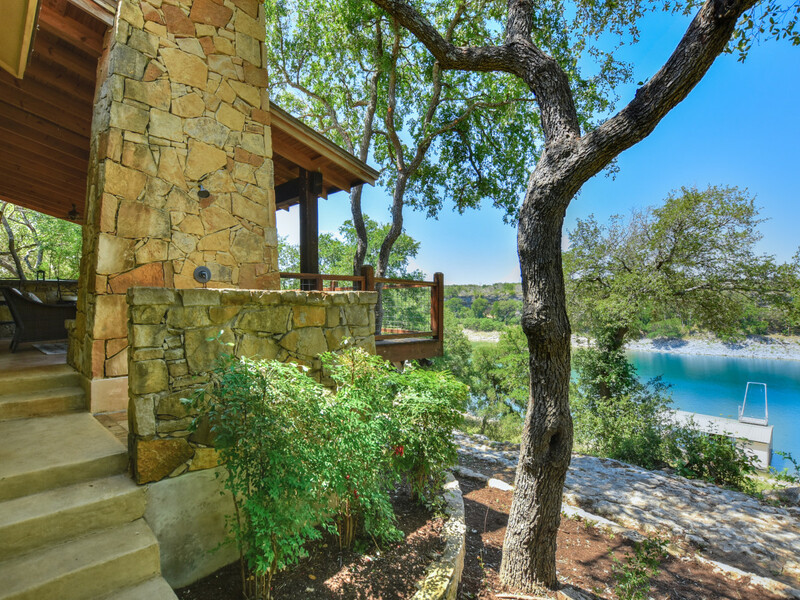 The single-level cottage has stained concrete floors, vaulted and beamed ceilings, and walls of sliding windows overlooking the lake. 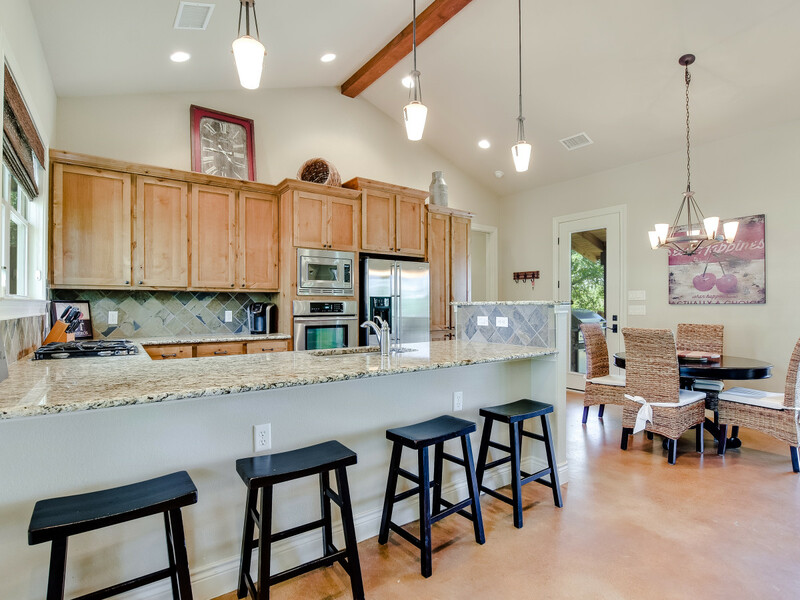 The fully supplied kitchen is open to both the living and breakfast areas, which is ideal for entertaining. 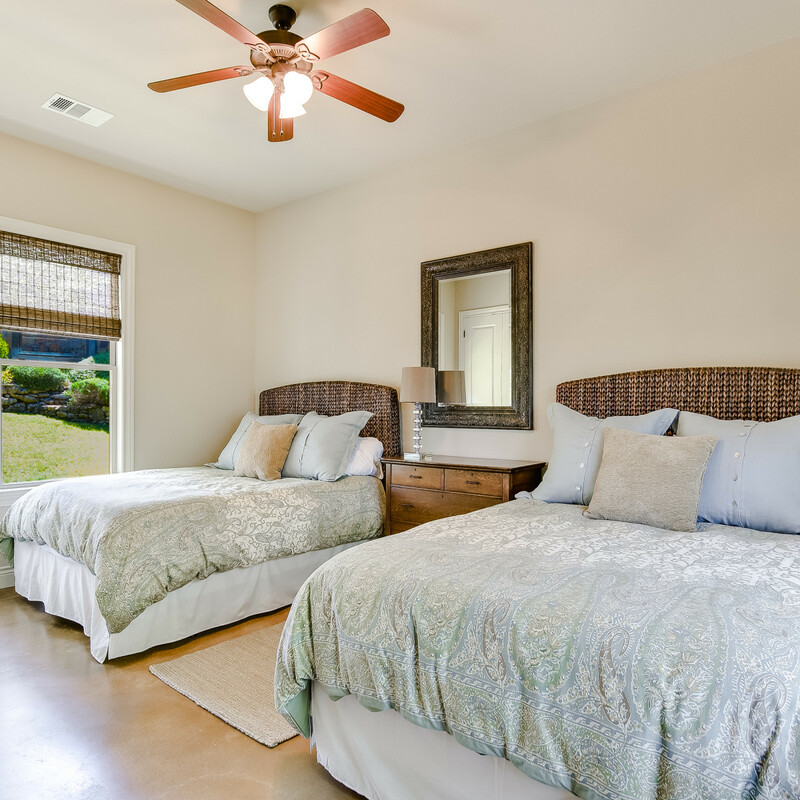 Guests can enjoy their own separate apartment, located just above the oversize two-car garage. 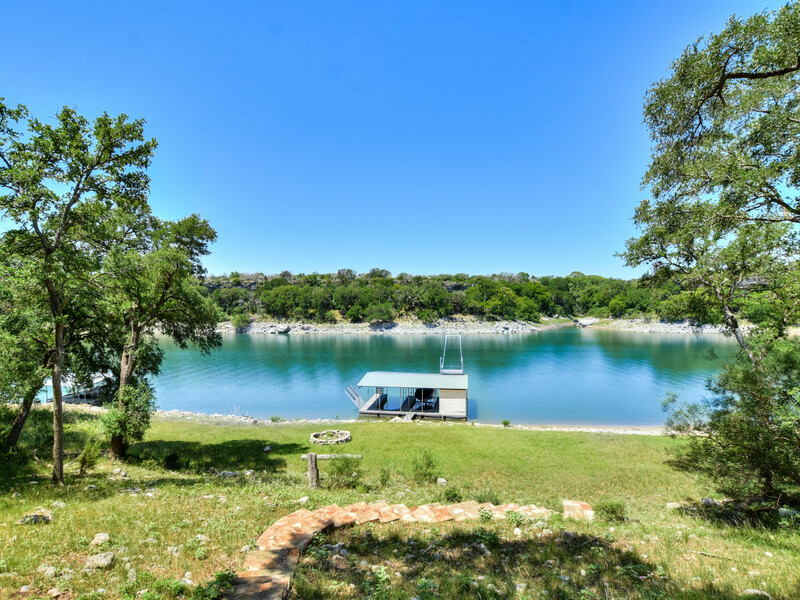 It's complete with warm wood floors, a kitchenette, full bath, two double-size bunks, and a living area. 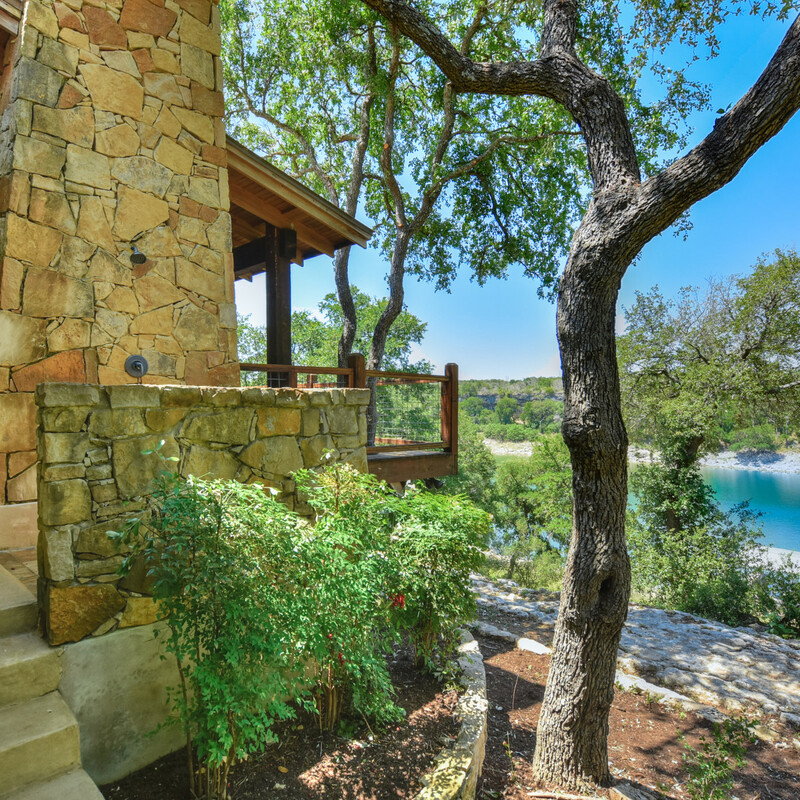 Outside, the spaces offer both privacy and a place to appreciate the serene lake views. 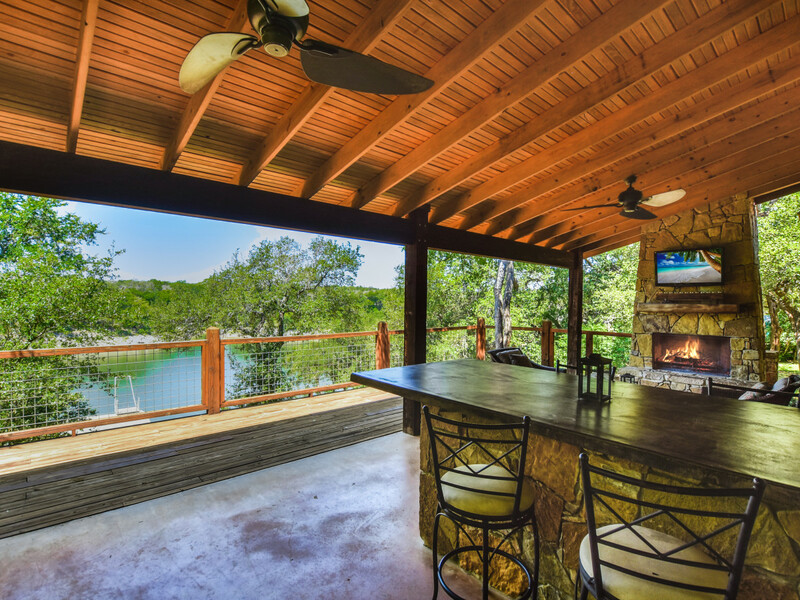 The large covered terrace includes a stately stone fireplace, built-in grill, and a large sit-up island to take enjoy al fresco dining or après lake cocktails. 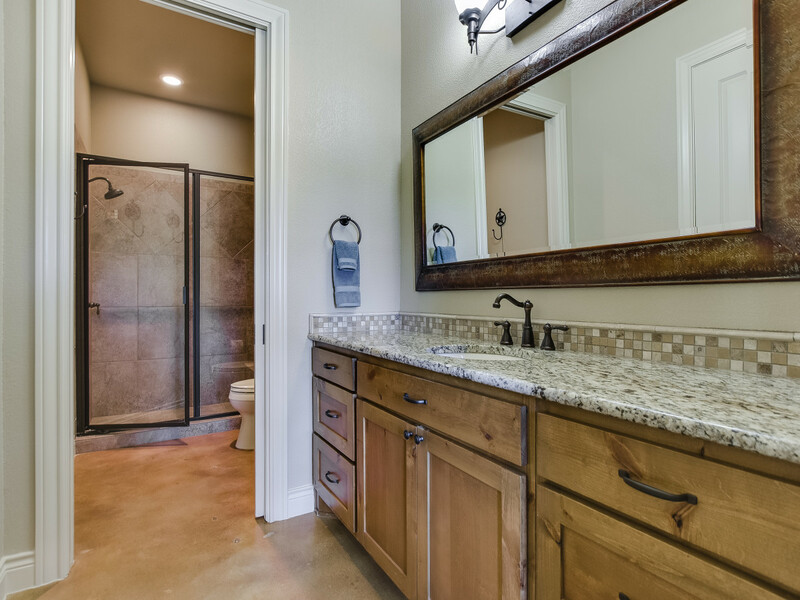 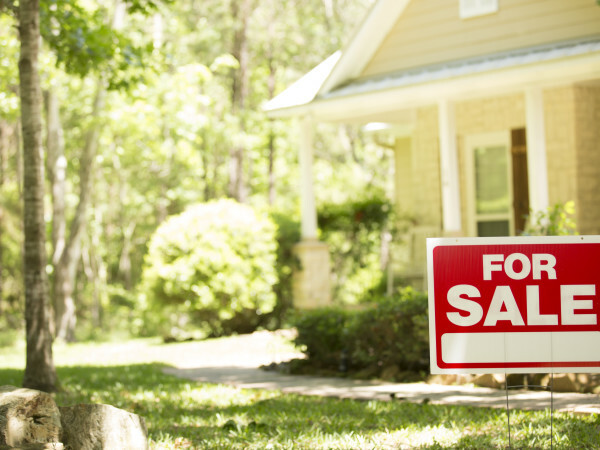 Fully furnished, the home is turnkey and low maintenance — just bring your toothbrush and move right in.